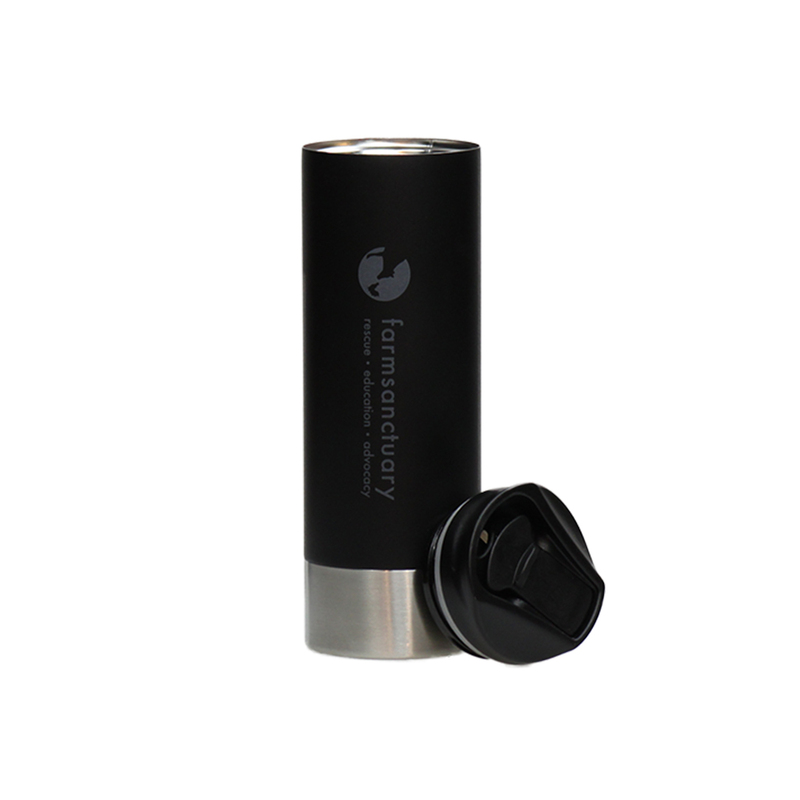 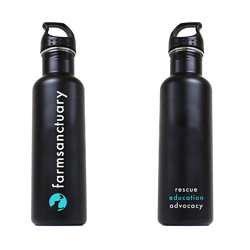 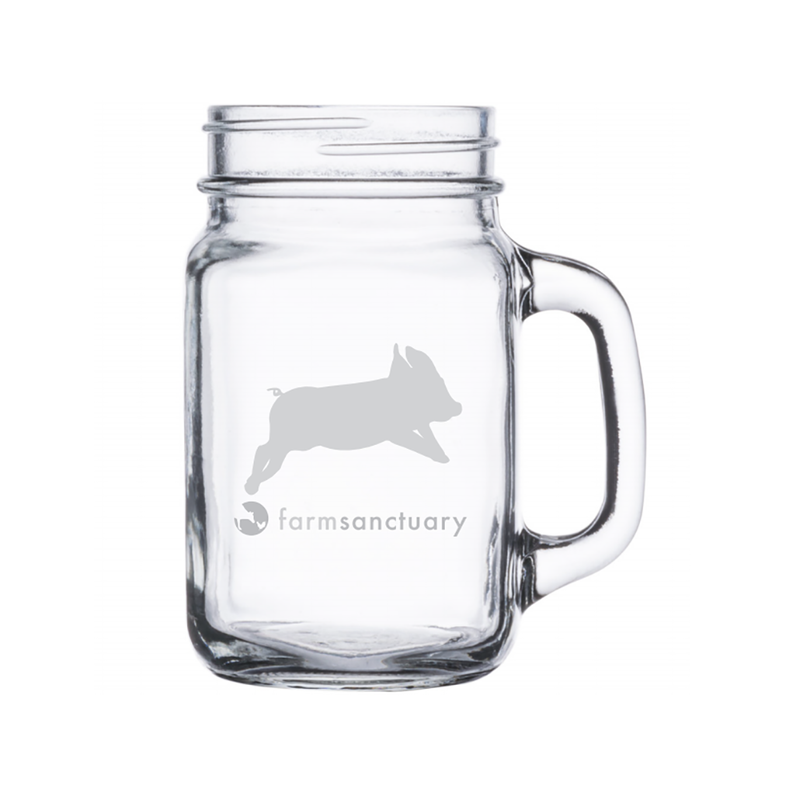 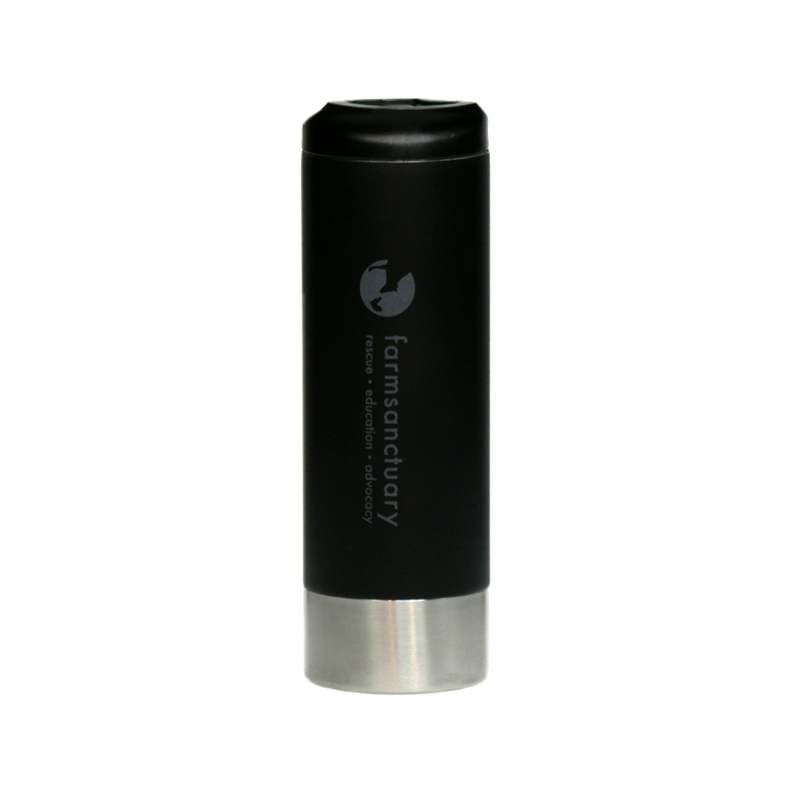 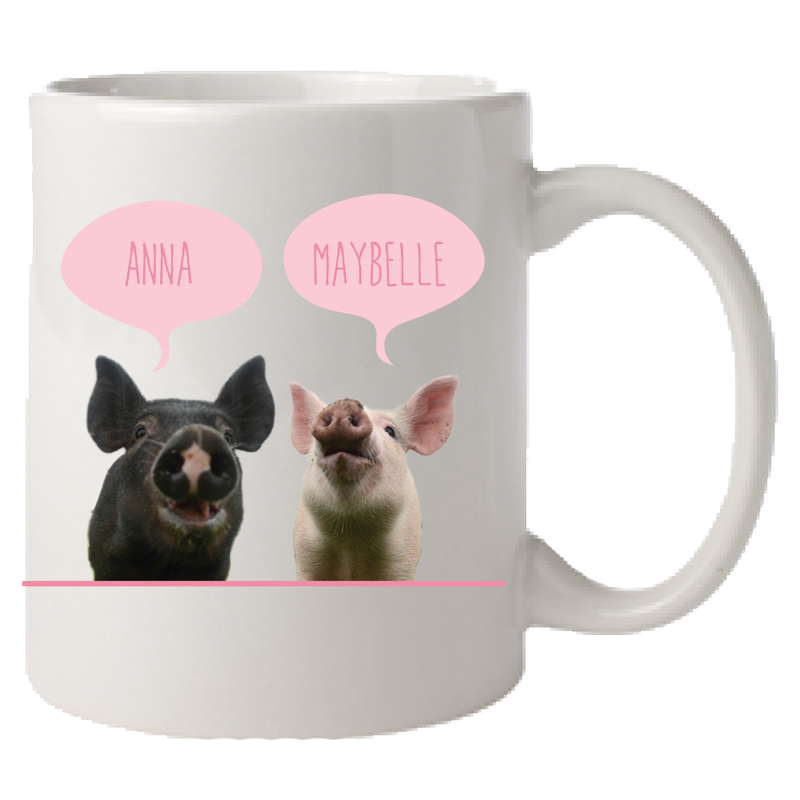 Show your support for Farm Sanctuary with this 18 ounce stainless steel logo travel mug. 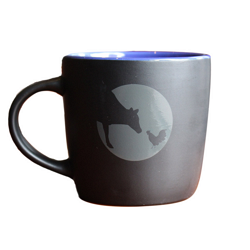 From office to home, this logo travel mug will go anywhere you go. 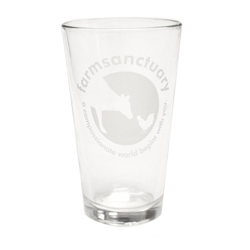 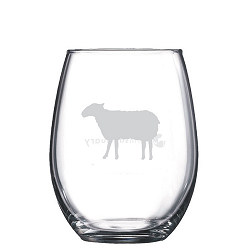 The sleek design features a black matte base with a grey tonal Farm Sanctuary Logo.